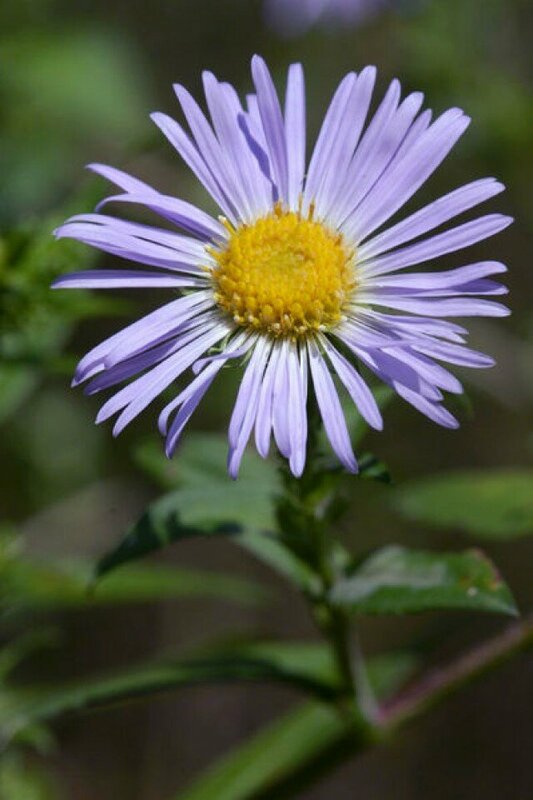 If you are looking for flowers in a variety of shades, the aster is a good choice. They come in cool and warm shades. The most common colors, however, are white, blue, and purple. No matter the petal color, all asters come with a lively yellow center. Most varieties begin blooming in mid to late summer and continue until the first frost. The flower is part of the sunflower family but looks more like a daisy. Some varieties, such as Aster Novae Angliae (New England Aster), grow up to five foot tall. Others, such as Callistephus Chinensis (Aster Blue Moon), grow to o­nly a couple of foot. This perennial favorite does well in most soils. For the best blooms and growth, you need to locate them in full sun. o­nce they are established, the aster will become a hardy part of your garden for years to come. They like moist soil that is not too wet. If you have a dry spell, they can go a bit dry with no problems. To get the best blooms in dry conditions, water them a couple times a week. To get a bed of asters started, you have a couple of choices. If you are lucky enough to have a friend with an established bed, you might get a clump to start with. You can start additional beds from o­ne already established. If you are not that lucky, you can start asters from seeds as well. Plant them early inside for the best results. o­nce the risk of frost is gone, put the plants out with proper spacing. Smaller varieties need a few inches while the larger o­nes need a couple feet to spread out. Check the particular variety for best results.